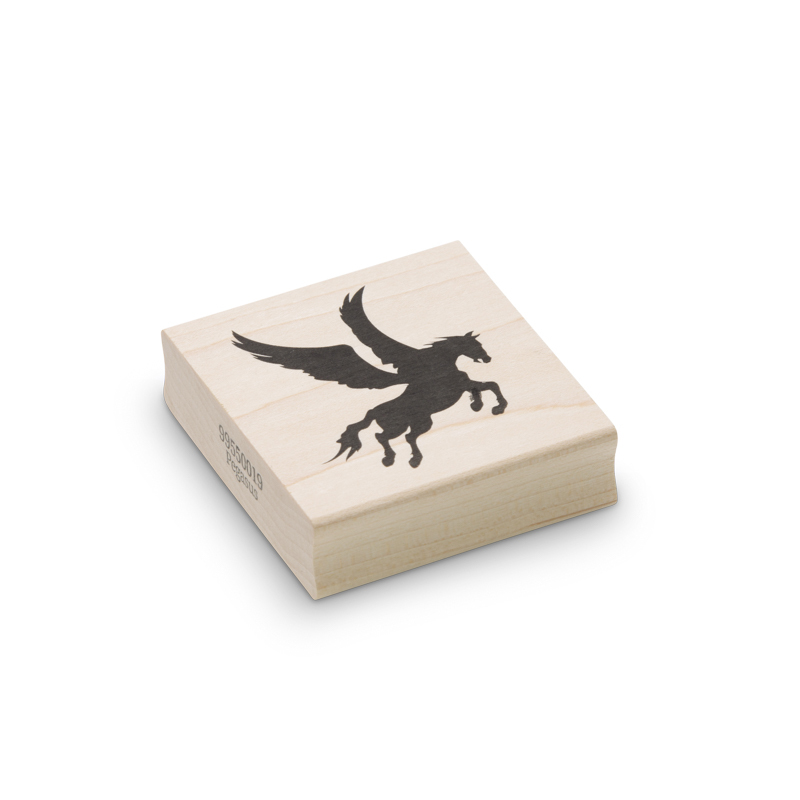 The pegasus wood block rubber stamp brings fantasy beauty into stamping work with encaustic art. 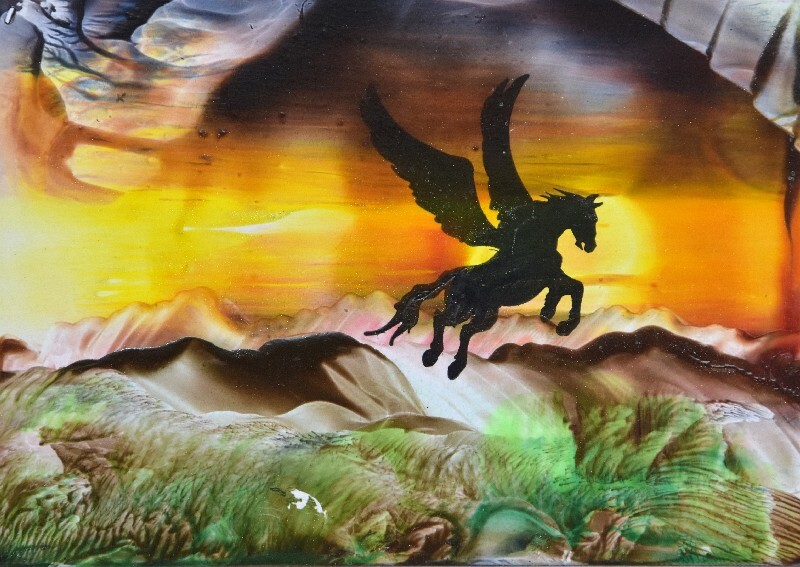 This flying horse leaps out into the mystery and magic of your fantasy work. Put a bright vivid sky on this and enjoy the journey!